'“From as far back as I can remember I knew I needed to spend large chunks of my day building things with my hands. I loved play dough and Sculpey from a young age and remember building lines of teapots with strange ears and large teeth out of clay along the edge of a dam on my family’s farm. Summer days were stiflingly hot in the Wheatbelt of Western Australia so playing on the edge of the dam near water was a means to keep cool. The more I built things with my hands the more successful I became at it and so it guided me through my school days with the label the kid who was good at art. The rules surrounding numbers and words always seemed rigid and slightly illogical so I would gravitate to the art room at secondary school to a mindful environment where I lost track of time and where there was no wrong way to go about doing things. 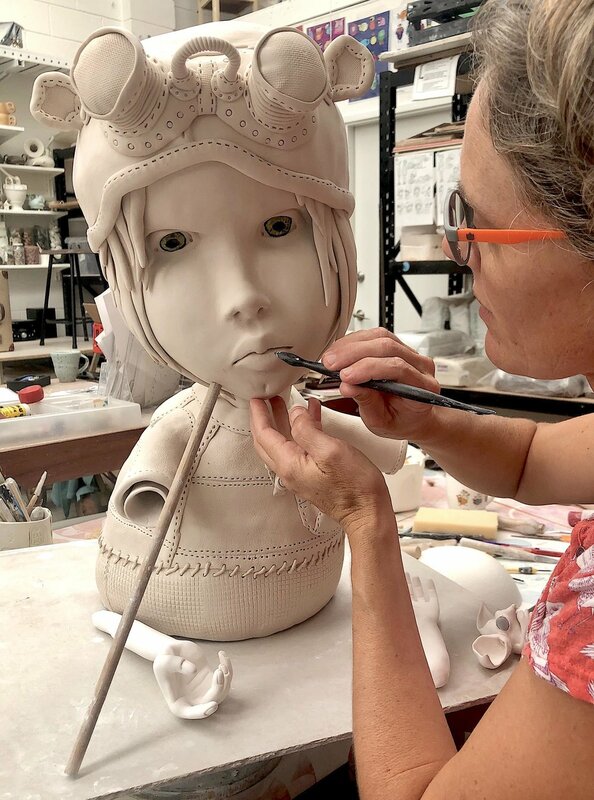 After school I studied a production pottery Diploma at Perth TAFE College, followed by a Visual Arts Degree at Curtin University and Post Graduate Honours at the University of Tasmania. Art School for me was the most normal and liberating experience. Amongst like-minded creatives, it was a place where I was able to get lost in the act of making and where day-dreaming was seen as a fertile library of ideas and solutions. Once I finished university I spent several years travelling to other parts of the world to work in Art Schools and artist studios to earn a living and refine my distinctive voice through clay. 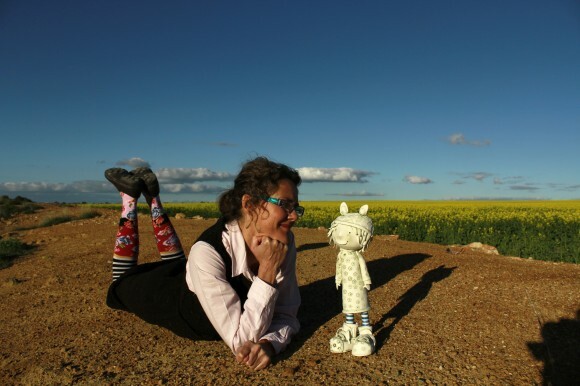 Later I returned to Beautiful Perth in Western Australia to raise a little family with my husband Richard and we launched a Clay Centre and International Visiting Artist Residency. Everything changed the moment our children Heidi and Harry were born. My world literally transformed from shades of grey to sublime colour. Informed by the conversations and perspective shared by both of our children, I now spend my days telling their marvellous stories through clay. 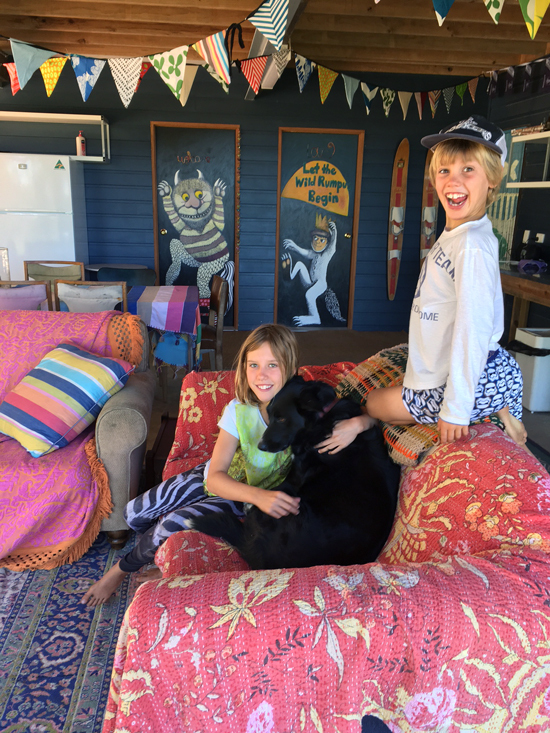 Sharing in their childhood has deeply influenced my art practice and helped us stay connected as a family in a world in constant flux. Heidi and Harry remind me that the most interesting stories unfold while we are busy waiting. It is important to me that you know how grateful I am to live such a creative life. I am surrounded by people who have never stopped caring throughout my artistic career. I know now that I wouldn’t make the stuff I make or see the world through ‘unimpossible’ goggles if the foundation had not been laid. I am so grateful for growing up with my brother Christopher on a farm near the small Wheatbelt town of Goomalling in Western Australia with such kind, patient parents - Daphne and Terry. They allowed my endless creative pursuits with clay, sticks and bits of farm machinery to grow and remain scattered throughout our house, the garden and the paddock. Sensing their pride of having an artist in the family meant I never had to decide…I could just be what I was meant to be…a perpetual maker of stuff. I love you Mum and Dad. Life is so much about timing and serendipity and I am grateful to have been in the right place at the right time to meet many amazingly talented people. These creatives have kept me focused and continue to inspire me to take the path of most resistance because it is more interesting and satisfying. Mathew Braxton-Smith, who transformed the trophy factory into home and assists me in the repurposing of stuff to make art, thank you for always sharing your bag of magic tricks. Graphic Designer, Lowanna Bibby and Photographer Robert Frith magically shrink down, flattened and pieced together the drawings and sculptures scattered across my studio benches so they find all of you! Thank you. My art imitates my life and I am eternally grateful for the two muses in my work, my children Heidi and Harry. Without their insight, their belief in magic and the value they place on seemingly less important or insignificant things surrounding us, I would have far less interesting stories to tell. I love you. I am grateful for the day I met the cleverest yet kindest person in the room…my husband Richard. “Impossible” doesn’t exist in his vocabulary only “Give it a try, you have very little to lose and everything to gain”. Those words loop in my head as I work on projects that take forever and nearly always crack, warp or explode - the first time round. Whoever it was who decided to land your spaceship in my world I am forever grateful. I will always love you”.